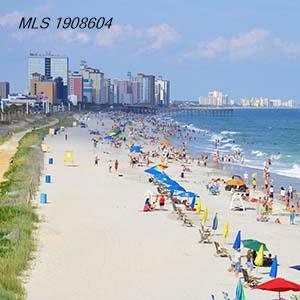 Lisa is a proud native of Myrtle Beach, having extensive knowledge of the coastal region as well as the inland areas surrounding the Grand Strand. She grew up spending most of her life living in the South Strand area of Myrtle Beach. Currently Lisa resides in Calabash, NC so, she is very familiar with the North and South areas of the Grand Strand. Lisa graduated from Horry-Georgetown Technical college as a Paralegal major and attended Coastal Carolina with a background in Communications. In her spare time you'll find Lisa practicing yoga, spending time with friends on the beach, or enjoying a meal at one her favorite restaurants located along the Grand Strand. Lisa's easy going personality shows her willingness to lend a helping hand, and offer the best advice. As a realtor concentrating on residential properties Lisa aspires to bring creativity, dedication, and personal knowledge to make her client's dreams become reality when it comes to their real estate needs.